All verbs do not take the infinitive and gerund interchangeably. While certain verbs take an infinitive, certain verbs take a gerund after them. 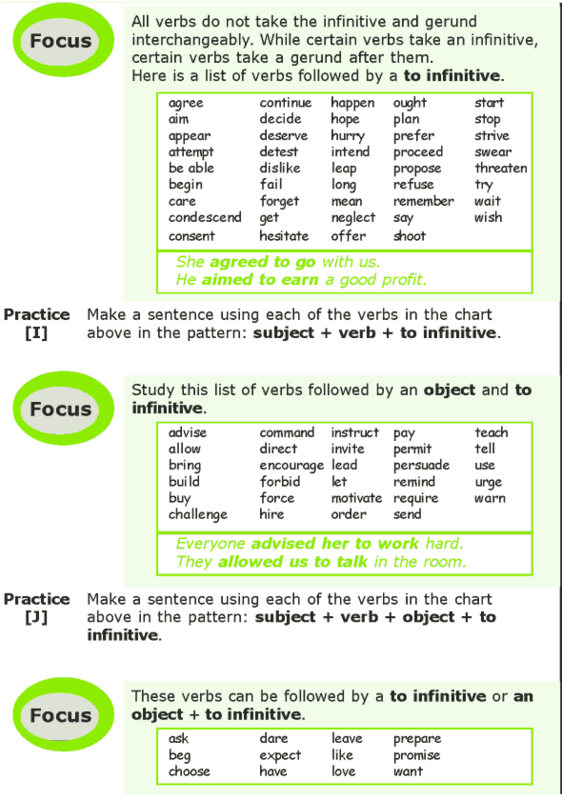 These verbs can be followed by a to infinitive or an object + to infinitive.